Mega Evolutions have made their triumphant return to Pokemon VGC, and they are a huge factor in team building for the current format. Staples from the past like Mega Salamence, Mega Rayquaza and Mega Gengar have already been dominating usage early on, but let’s not forget that there are 45 others to choose from. While not all 48 Mega Evolutions are considered “viable” in many players’ eyes, there are still a fair amount that can hold their own among some of the most powerful Pokemon in the game. Here are some Mega Evolutions that may not be seen on every team, but definitely have the potential to do well in the Ultra Series metagame. This is one that I’m surprised more players haven’t been testing out as much early on. Mega Manectric has consistently been a high-tier threat in the formats it’s been allowed in, and it can certainly work well in the GS Cup metagame. We saw just how good Mega Manectric could be back in 2016 when Johnathan Evans piloted a team using both Primal Pokemon and Mega Manectric to a second place finish at the World Championships that year. Even though the “Dual Primal” archetype was established as one of the best back in 2016, the lack of buzz surrounding it this year may be the reason Mega Manectric has had a slow start as well. Still, Mega Manectric offers a lot as an offensive pivot. Before Mega Evolving, Manectric has access to the ability Lightningrod which can re-direct Electric-type attacks away from its partner. With powerful Electric-types like Tapu Koko existing in the format, this ability comes in very handy for Pokemon like Primal Kyogre and Yveltal. Mega Manectric has access to one of the best abilities in the game, Intimidate, which it can combo with the move Snarl to lower both of the opponents’ offensive stats. Volt Switch makes it easy for Manectric to pivot in and out of battle which can be in the intense game of positioning that takes place in Ultra Series. 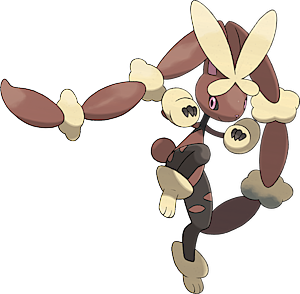 Think of Mega Lopunny as a faster, more frail version of Mega Kangaskhan (in a way). Mega Lopunny is one of the fastest Mega Evolutions out there, giving it one of the fastest Fake Out’s in the format. What Lopunny is really useful for is its ability Scrappy which allows it to hit Ghost-type Pokemon with its Normal and Fighting-type attacks. This allows Mega Lopunny to Fake Out Pokemon like Lunala which is useful to not only break Lunala’s Shadow Shield, but also stop it from setting Tailwind, Trick Room or firing off a Z Move. Other than its offensive capabilities, Mega Lopunny also offers some neat support options. Its blistering speed means it can make great use of moves like Encore which can punish defensive plays from opponents or set-up opportunities. Fake Tears is another neat tech which can help support your team’s special attackers allowing for some surprise KOs. Like Rayquaza, Mewtwo is another legendary Pokemon that can harness the power of Mega Evolution, except Mewtwo has two different ones to choose from. The reason I’m listing Mega Mewtwo X as well is that Mega Mewtwo X’s offensive capabilities on the physical side are a bit less consistent than its counterpart, and thus doesn’t appear to be as viable. 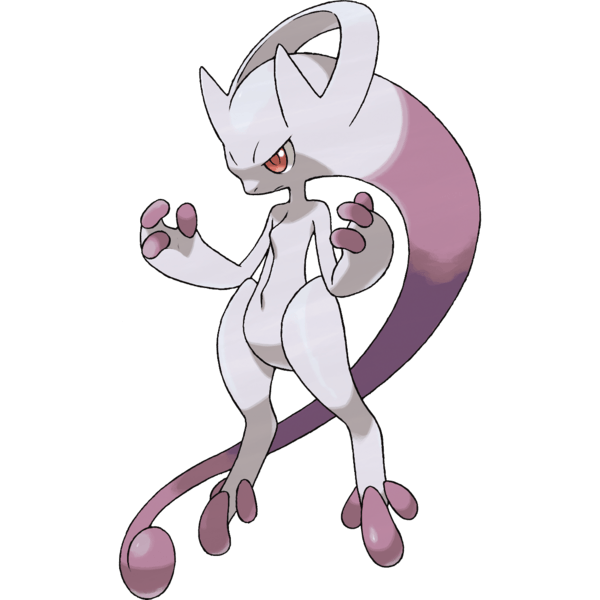 What Mega Mewtwo Y offers is a fast, powerful Psychic-type attack spammer that works amazing under Psychic Terrain. Psychic spam has been a popular strategy in the early Ultra Series metagame with pairings like Tapu Lele and Ultra Necrozma working well for players. Mega Mewtwo Y has its own signature Psychic-type attack in Psystrike which hits opponents on the phyiscal side despite being a special attack (much like the move Psyshock). Since many Pokemon often devote more to their Special Defense stats to better take on Pokemon like Xerneas, the damage from Psystrike is not easily handled by non-resisted targets. Along with Psystrike, Mega Mewtwo Y has plenty of great coverage options such as Aura Sphere, Flamethrower, Ice Beam, Shadow Ball and Focus Blast. Mega Mewtwo Y can even devote its third move slot to something like Gravity to assist a partner like Primal Groudon which it’s often paired with anyway. One final plus is Mega Mewtwo Y’s ability Insomnia, which protects it from being put to sleep. 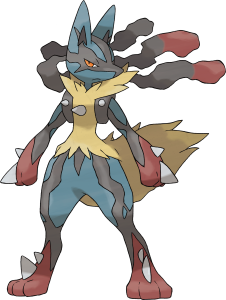 Mega Lucario is another example of a Fighting-type Mega Evolution that has a ton of potential in Ultra Series. Lucario got a significant buff this generation by now having access to the move Meteor Mash which gives it a much stronger Steel-type offensive option. Even though Meteor Mash has the chance to raise the user’s Attack stat, it does come at the cost of imperfect accuracy. Regardless, Mega Lucario is the epitome of hyper offense. Mega Lucario has the amazing ability of Adaptability which grants a 2x boost in power to moves of the user’s same type. The offensive combination of Close Combat and Meteor Mash can utterly decimate many of the metagame’s top threats including, but not limited to, Incineroar and Xerneas. Mega Lucario can even offer some support in its third move slot with Follow Me, however Lucario’s mediocre defenses make it a less than ideal damage sponge. Now this choice is a tad unique, but hear me out. 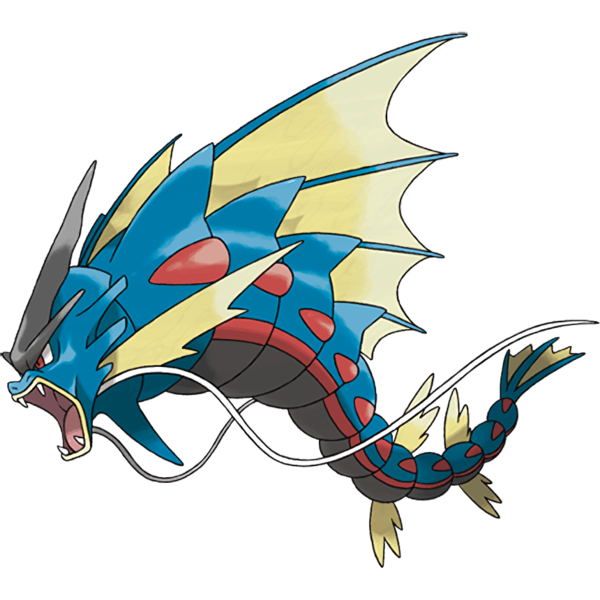 Mega Gyarados is an offensive powerhouse under the right circumstances, and its offensive dual threat of Water and Dark-type attacks actually does a ton of work against the current metagame. Although it faces oppression from Primal Groudon’s Desolate Land evaporating its Water-type attacks and a plethora of Fairy-type Pokemon preying on its Dark-typing, there are some ways to maneuver around these weaknesses. Mega Gyarados is usually paired with Rayquaza which can offer its Air Lock ability to get around the effects of Desolate Land, while partner Steel-types and Pokemon like Tapu Fini, Crobat and Amoonguss can help slow down an opposing Xerneas. Under the ideal conditions, Mega Gyarados can take down Pokemon like Primal Groudon, Lunala, Incineroar and Ultra Necrozma with its amazing offensive capabilities. Oh, and let’s not forget about base Gyarados offering the Intimidate ability and a Flying-type to switch into Primal Groudon’s Precipice Blades. Although the “high tier” Mega Evolutions currently dominate the usage statistics of early Ultra Series, the desire for development and experimentation will rise as time goes on. Sooner or later, one or more of these listed Mega Pokemon could appear at the top of a major event before the season concludes. Images from Pokemon Ultra Sun and Ultra Moon, Ken Sugimori and The Pokemon Company International.